It's almost 2016! I plan on stuffing my face and watching movies until midnight. This is basically what I do every night anyway. 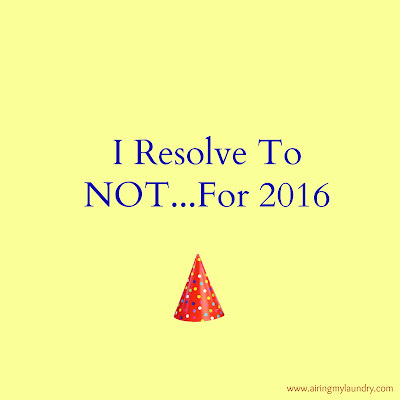 I never make serious resolutions because I'm never sure if they'll stick. So I've always made lists of resolutions I WON'T do. They're easier that way. ...stop talking about TV shows on Facebook. I never flat out give spoilers, but sometimes my friends will make one in the comment section and people will be like, "DON'T SPOIL IT!" I'm always like, "STAY OFF FACEBOOK THEN!" And then I see that I've lost Facebook friends. Oops. But seriously. ...stop shopping at Target. I love it too much. ...stop eating my junk food. People on Facebook also like to show photos of squash spaghetti and try to convince me that this is what I should be eating. No. No way. Give me real spaghetti. And if it's the wheat noodles, they're going out the window. ...stop cursing when I drive. Well. Unless people stop driving like morons, which is unlikely. Here's some tips: use your turn signal. Don't mess with your phone. Don't cut people off. ...stop reading. I mean, duh. I usually always have a book with me. Sometimes I'm reading when someone is trying to talk to me. But if I was reading first, dang it, let me finish the chapter and then I'll converse. ...run a marathon. I know my limits. I do just enough jogging so I can still fit into my pants, and then I'm done. Do you have anything you resolve not to do? I love this idea. Anti-resolutions. I resolve to not stop drinking wine. Happy New Year! Hahaha!! But really, you should try a 5k! I bet you could do it easy! Here here! Here's to not giving up any of the good stuff! YES! 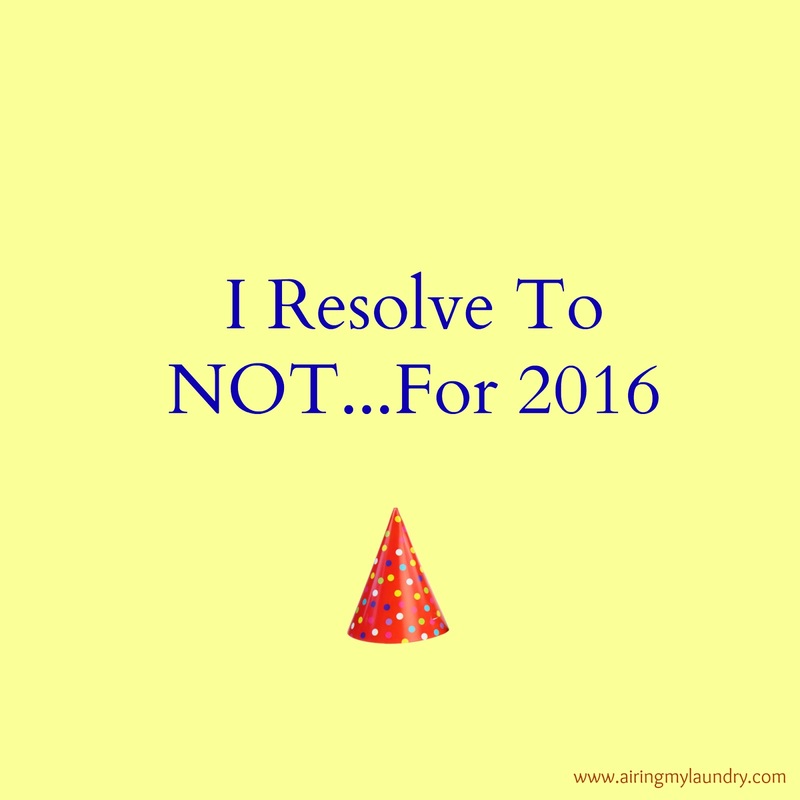 I resolve to NOT give up what makes me happy! Being on my phone when I want to. And books. Never give up the books. This is an awesome idea. It takes the pressure off. You should become a gourou - life coach! !The meetings with you would be, people eating chocolate and drinking coke while watching walking dead. If that is not heaven on earth I don't know what is!!! The NOT resolves are so much fun! I won't give up my Diet Coke either. I hate wheat noodles too.. I resolve NOT to stop blogging. Popped by from SITS 2nd Saturday Sharefest. Good list. Hope you have a wonderful new year. I resolve to not punch anyone in the face who feels the need to tell my 40 something self what I should be eating. At 40 something. You know, a grown up. I'll eat what I want thank you. And while we're making non-rules; I'll watch what I want too. Pretty much *insert Tom Hiddleston riding in car yelling I Do What I Want" gif here. I could never stop cursing when I'm driving. It's like... me. Same with keeping Valentine chocolates in my desk that are intended for me, and only me. Do what makes you happy, mama!! Fabulous list...! I like the way you think, lady! I'm with you on the Diet Coke. I did cut back a little bit, but I'm never giving it up. Never. Haha, I love this list!